When you are facing a challenge as fierce and as monumental as global food traceability, sometimes you have to think outside the box. So recently, IFT, the Global Food Traceability Center (GFTC), and World Wildlife Fund for Nature (WWF) organized a “hackathon” to come up with new, unique ways to tackle seafood traceability, especially related to both collecting and exchanging data. At hackathons, the competitive atmosphere drives the creation of innovative solutions to pressing challenges. GFTC, as a co-convener of GDST with WWF, wanted to connect with software developers through communicating the challenges of seafood traceability implementation and through presenting them real world seafood traceability data. Our hopes were threefold: to incubate the seafood traceability software open source community, to demonstrate the viability of GDST data standards in software solutions, and to drive traceability implementation efforts within the seafood industry. We only gave the developers 24 hours to come up with a solution, and it was amazing to see the sort of solutions they were able to develop in such a short amount of time. Teams stayed up all night coming up with solutions to these challenges, and it was remarkable to see how much the developers took the challenges to heart and saw the seriousness of them. They showed the ability to take abstract work and concepts and, with only one day’s work, demonstrated some of the remarkable possibilities of implementing them. One of the hackathon’s judges, Bubba Cook of the WWF, told GDST, "I was amazed at the level of sophistication and attention to detail employed in each submission. Each participant demonstrated a remarkable level of expertise and dedication to come up with some truly innovative solutions for data capture and traceability in the seafood supply chain." The winner was a robust and impressive application that captured catch and landing information using things like AI for image processing and voice capture and incorporating useful fishing information such as likely fishing locations and emergency warning systems. Another exciting application was a chat bot which won third place. 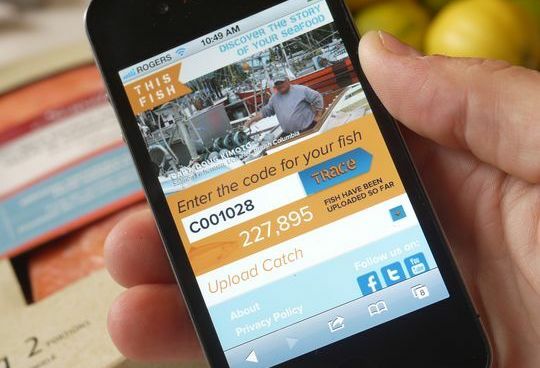 Basically, it used a simple and intuitive interface for entering catch information, prompting the end user to input the key data points you need to achieve traceability, and then pushing that information out on the back end in the standardized format, which is called EPCIS. The brilliant thing about it is that it could be ported to multiple applications and used in multiple languages, and perhaps most impressively, it can be used with technology as basic as SMS (aka text messaging). It was an incredibly innovative, elegant and creative solution to a complicated problem, and it came out of this one, frenzied 24-hour competition. Going forward, we will continue to work with a number of the developers from the hackathon to further develop their creative solutions. We are right on the brink of an exciting time in the world of traceability, and particularly of seafood traceability, and we are thrilled that IFT and the GFTC are helping foster further growth in these crucial fields.